The complainant, Sherry Currie, owns a travel agency in New Brunswick. Her service was the subject of a story because it took over six months to provide a refund to a client for a cancelled trip. The facts of the story were correct but CBC News in Halifax did not wait long enough to get Ms. Currie’s side of the story. The more it is a matter of reputation, the more the effort needed to get the other side. You are the owner of Tranquility Tours, a travel company based in New Brunswick. Last March, CBC News in Nova Scotia ran a story about a couple from New Waterford who had booked a tour with your company. The trip had been cancelled by your company and the couple was still waiting for a refund about six months later. The initial story was broadcast on March 25, 2015, and a version was posted online entitled “Tranquility Tours still owes couple $5,390 months after trip cancelled.” The story reported that the couple had been told they would get the cheque and had received one in December 2014. That cheque had a date more than six months old and therefore they could not cash it. Is this how CBC conducts there business write one sided stories and put it on facebook first before they send an email. How professional are you?? Ms. Colbert DID NOT private message me on facebook she put it on the front page of Tranquility Tours web page down on the left hand side which I deleted. Ms. Colbert stated that I was banded (sic) from advertising in Nova Scotia which is not the case at all. Ms. Colbert stated that I did not have enough money in my account which was investigated and she did not call the bank. You asked why the story said you were not able to do business in Nova Scotia. You also thought the story stated you were not allowed to advertise in Nova Scotia. All this is incorrect and you asked that the story be removed. There was no indication in your voice mail message that you were out of town and could not be reached. Ms. Colbert assumed, not unreasonably, that a business owner would check messages on a daily basis. He explained that Ms. Colbert was out of the office on another assignment the next day when you emailed and telephoned her. She did not receive the phone message, but as soon as she read the email, she passed it on to other colleagues in the newsroom so that they could update the story with your response. He said a new story, entitled “Tranquility Tours says it will refund couple for cancelled trip” was published on the website. It explained the delay was a clerical error and that the couple would be getting their cheque right away. When the couple did get the cheque a few days later, another story entitled “Tranquility Tours refunds new Waterford couple, with interest”, was also published. He explained that your concern about the story appearing on your Facebook page was a misunderstanding, and had not happened. He told you that Ms. Colbert had used a private messaging function on Facebook and the message, which included details of the story she was working on, was visible only to you, and not your Facebook followers. He also explained that while Ms. Colbert had mentioned details of insufficient funds for an earlier cheque sent to the clients, in the message she sent you, none of those details were reported on the CBCNews.ca pages of in the TV report. The story said the Registry of Joint Stocks in Nova Scotia shows that Tranquility Tours’ registration in the province was revoked for non-payment. This is a matter of public record. The story also said that the registered agent for the company is listed as David Mollison of Eastern Passage. Ms. Colbert attempted to contact him, but, as the story noted, the phone number listed is no longer in service. To achieve fairness, we diligently attempt to present the point of view of the person or institution being investigated. Your source’s familiarity/experience with media—politicians can normally be expected to respond more quickly than someone who has never dealt with media before. The importance of the information to the fairness/completeness of the story—for example, if someone is being personally criticized, a response is very important. The number of requests you’ve made. The complexity and extent of the information sought. The degree of expertise required. For example, if you are asking a press operative about a particular tax principle, you have to give them time to find the right person to answer. The extent of resources the source has access to. For example, Statistics Canada is likely to have more capability to answer a statistical question than would the mayor of [a small town]. Whether the information being sought relates to a current or a past event–the latter might take longer to acquire. Your deadline and whether it is flexible. Whether or not a determination of “responsible communication” may be relevant. Any past relevant experience with the source—for example, whether the source is usually quick to respond, or had never once responded. Ms. Colbert attempted to reach you by telephone, email and private Facebook message. I think that is a demonstration of her honest intention. Based on these criteria, it was not enough. I appreciate the pressure of deadlines in daily news coverage, but there was nothing that would have been lost waiting longer for a response. The information you provided would have certainly contributed to the “fairness and completeness of the story.” Fairness is one of the core values listed in CBC News Journalistic Standards and Practices. In this regard, the story violated CBC policy. 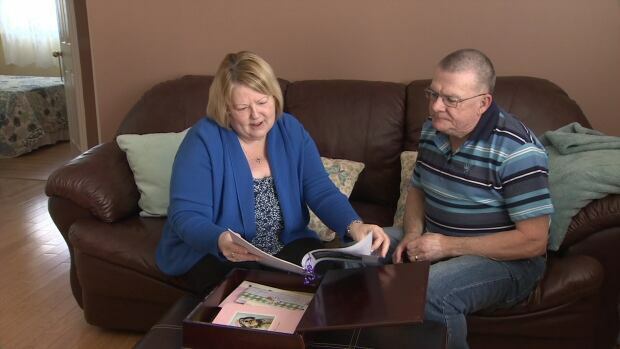 New Brunswick-headquartered Tranquility Tours says it’s sending out a cheque to a New Waterford, N.S., couple who’ve been waiting six months for a refund on a cancelled bus tour to the United States. It also includes your explanation that you couldn’t provide a refund until you got refunds from the venues and service providers that had been booked for the tour. It mentions that you were sending out a cheque by registered mail. This story also links back to the original story, adding the information that a cheque was going out by registered mail. You had other concerns as well. You accused Ms. Colbert of publishing the details of the story in a message on your Facebook page, which you deleted. Ms. Colbert is quite clear – and provided “screen shots” of her message – that she used a feature of Facebook that does allow private messaging. There is no reason to doubt her word. She did get a cheque recently, but was unable to cash it because it was stale-dated to February 2014. Banks will not cash cheques that are more than six months old. Tranquility Tours advertises frequently in the Chronicle Herald. It is now advertising Bermuda cruises, Maine shopping trips and a Christmas spectacular in New York in December. You were also concerned because the story did not mention that you had been in contact with the clients many times. While it is not explicitly stated, the story said she had been given several different explanations why the money hadn’t been refunded for six months. That clearly implies she was in touch with your company. You also felt the story said you were barred from doing business in Nova Scotia. The story reported that you were not currently registered with the province’s Registry of Joint Stocks because of non-payment for the registration. There is a company called Tranquility Tours noted on the web page listed and it indicates it is not registered because of non-payment. There are two issues here. One is you say you have never heard of the person listed as the contact. The second is it is not at all clear what relevance not being listed has. There is not enough context provided to make sense of the fact. The story is clear that you are offering services in Nova Scotia. The lack of clarity undermines the accuracy and fairness of the story. I strongly suggest the news team take a second look at this aspect of the story and confirm it is your firm listed in the government page. If it is relevant, they should provide some context. This may not have been an issue had the reporter waited a little longer and made a second attempt to reach you. It is a reminder that in this world of instant communication, there is a need to take the time to do due diligence. Getting it right and providing fair coverage trumps deadlines.